A child's imagination is a fascinating thing. 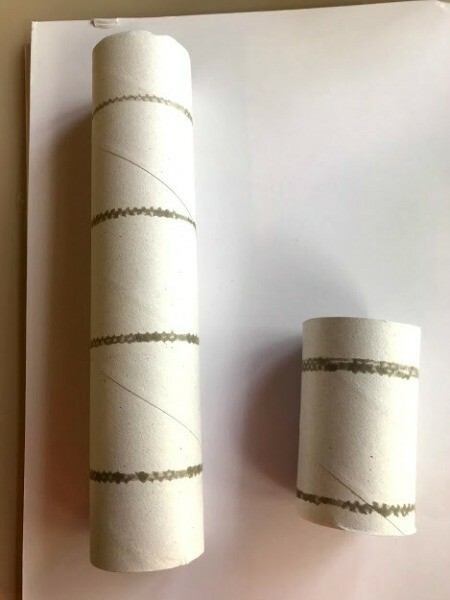 A paper towel roll can be made into a rocket with just a few supplies. 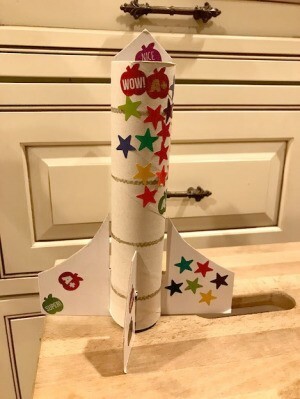 This is a guide about how to make a paper toy rocket . 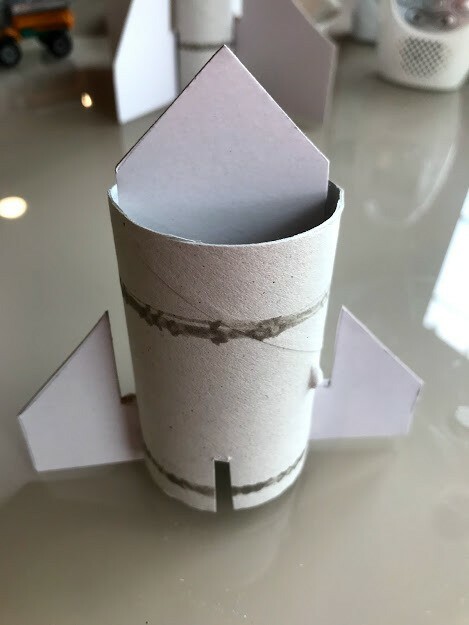 After visiting a museum, my toddler became fascinated with rockets. 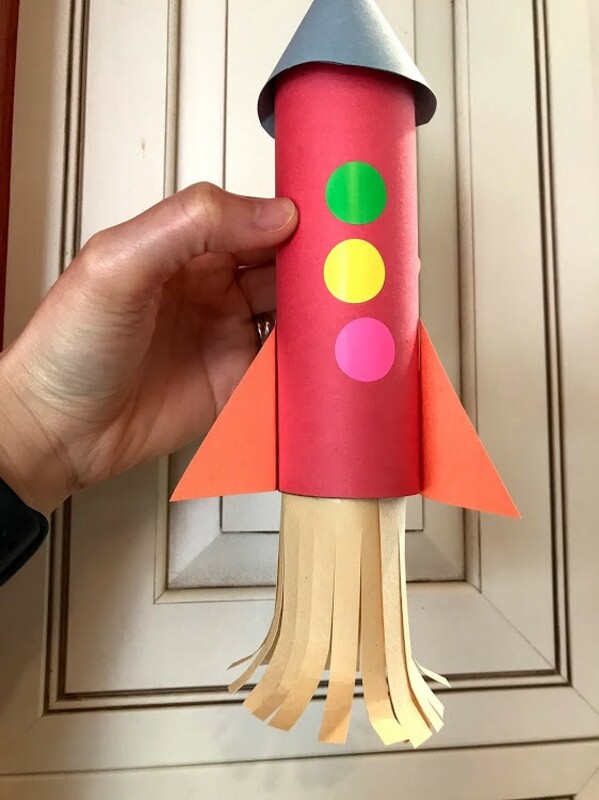 This is a fun craft to do with your toddler/child with items you already have at home. 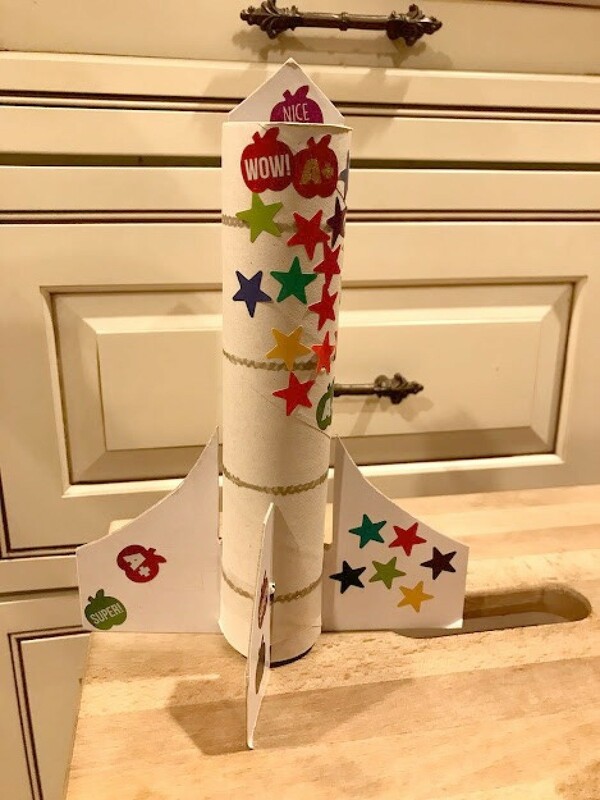 Your child can paint the rocket, but mine opted to stick on stickers instead. He uses his imagination and pretends he's flying around in space around the house. 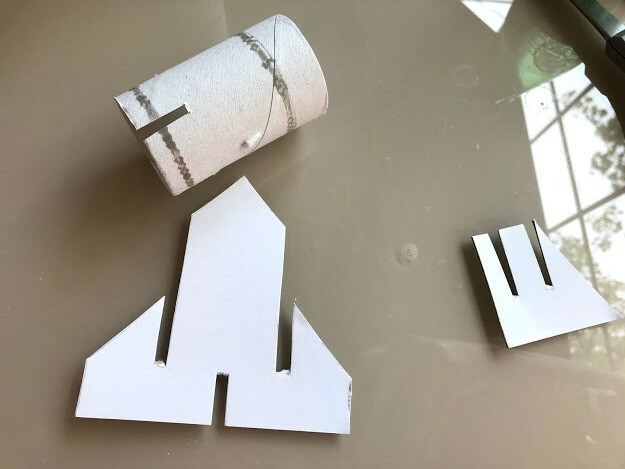 This is more of an adult craft to design and cut, but decorating is up to your child. 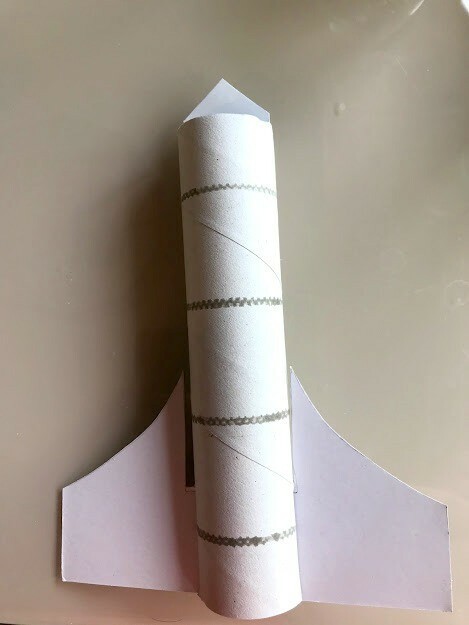 To make two rockets, I cut the paper towel roll into 2 pieces. The little one is about 3" inches. 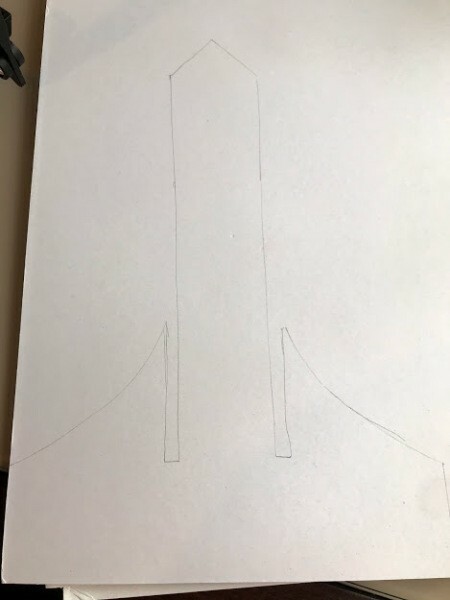 First, I freehand drew a rocket design on regular paper to see if it would fit before actually tracing it onto a piece of white thin cardboard. 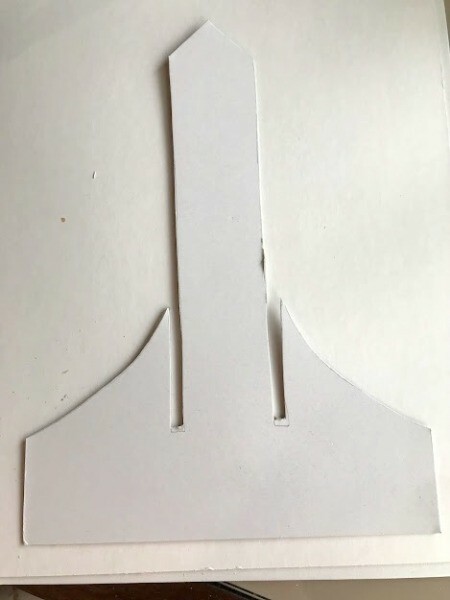 Once, you are able to draw your rocket, cut it out with scissors. 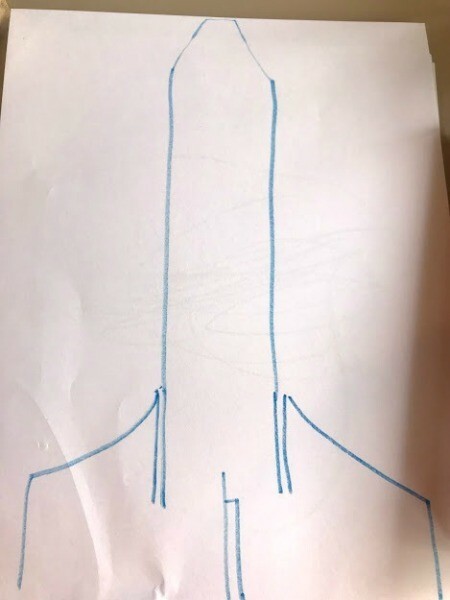 Then also design the other fins, so that the rocket can stand on the 3 legs. Ready to put your pieces together. 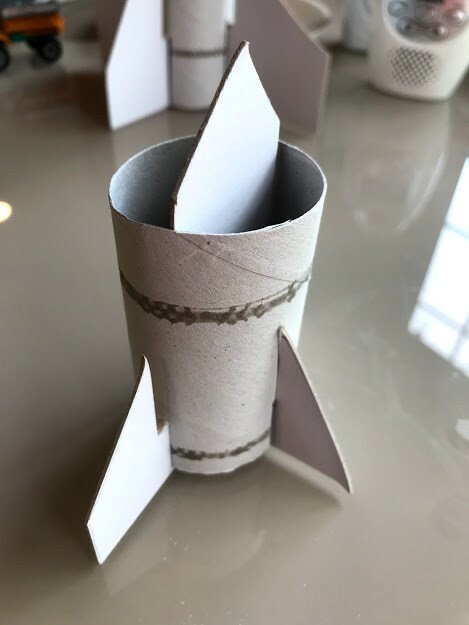 Repeat the process, but make a smaller version for the little rocket. 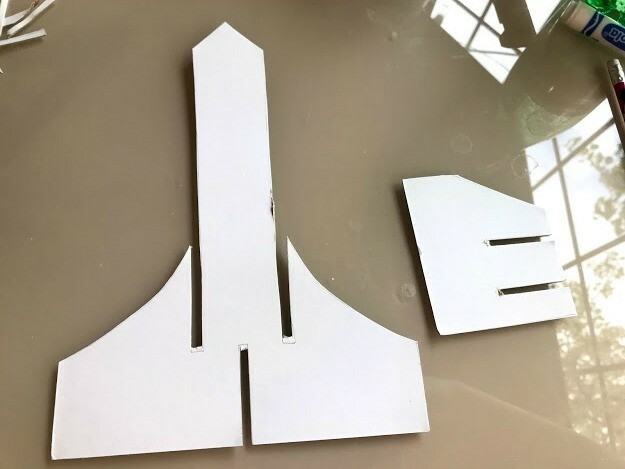 My son loves making rocket-ships, helicopters, and plane crafts! 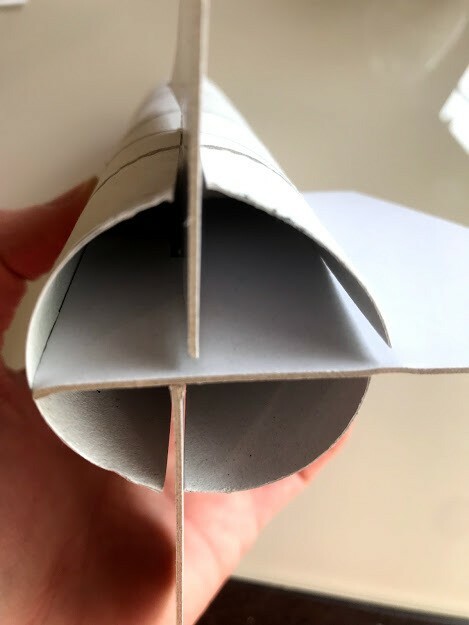 This is another paper rocket-ship version we made together. 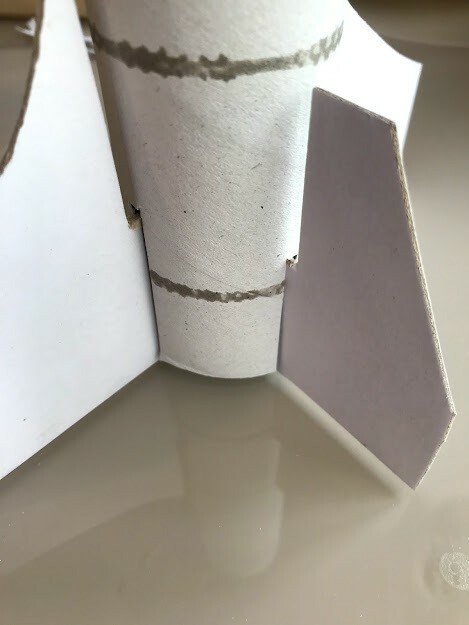 It is very easy to make and fun for your child to play with!